LAFAYETTE, Ind. — Ivy Tech Community College will host a Census Awareness program to promote participation in the 2010 Census on October 20 at 6:00 pm in the NCHS Auditorium of Ivy Hall. 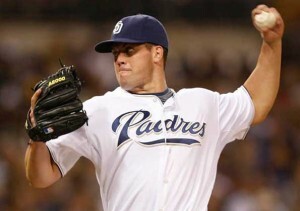 Clayton Richard, current pitcher for the San Diego Padres and a McCutcheon High School graduate, will keynote the Census Awareness program on October 20th. Clayton Richard, current pitcher for the San Diego Padres and a McCutcheon High School graduate, will be the keynote speaker. Following the keynote address, a panel of community representatives will speak on the importance of each Tippecanoe resident being counted in the census. According to the United States Census Bureau, an estimated 28% of Tippecanoe County residents were not counted in the 2000 Census. “It is vital that every resident of Tippecanoe County participate in the census. Just by filling out the short 10 question form, they are supporting and benefiting the wellbeing of our community,” stated Ivan Hernandez, Ivy Tech’s Director of Admissions. Each year, over 400 billion dollars in federal and state funds are allocated for neighborhood improvements, emergency preparedness and disaster recovery, public health, education, and senior services based on census information. The Census Awareness program is free and open to the public. Ivy Tech Community College is located at 3101 S. Creasy Lane, Lafayette.